The German company WASP-Logistik GmbH develops and provides a modular wood logistics platform. The German forest and timber industry is one of the leading industries in Germany, with 1.3 million people employed and annual sales of €181 billion. This sector is also characterised, however, by relatively low returns on its sales. Each additional expense due to increasing fuel prices or lorry tolls in the field of transport logistics immediately limits the entrepreneurial freedom of participants along the supply chain. That said, the industry harbours cost-reduction potential if flows of material and information can be optimised. The necessary basic technology exists, but has yet to be integrated into a marketable product. Furthermore, the existing technologies and software systems are individual, isolated solutions that do not support economical use by smaller companies. 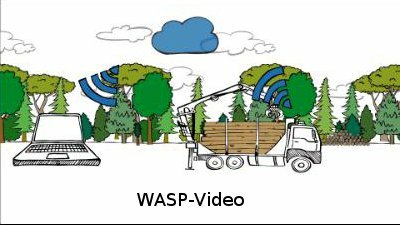 On WASP's wood logistics platform, all those involved in the forest and timber supply chain will gain an extended planning horizon they can use to optimise the supply chain across companies and control it by linking existing solutions. It will thus be possible to work in a more economical, future-oriented way. The added value the platform provides will benefit small and midsize enterprises in particular - forwarding agencies, forest companies, and small sawmills, for example. Other products currently available on the market cannot make the same claim. Based on modern cloud technology, the WASP logistics platform seeks to interlink established software solutions with newly developed modules. 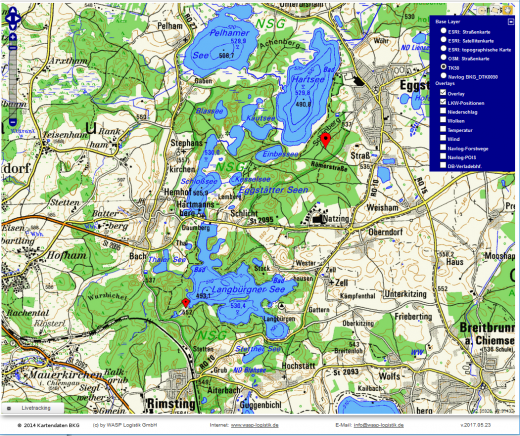 It uses geodata to register and manage wood piles, and satellite navigation is integrated for use in timber transport. Wood piles can also be captured by cameras, automatically geocoded, and transferred to the platform. In addition, the platform makes it possible to handle dispatching with support for GPS (and in the future, Galileo) signals by retrieving vehicles' geocoordinates in real-time using mobile receivers, transferring them to the platform, and displaying positions and locations on a map. Integrated online map services like Navlog, OpenStreetMap (OSM), ArcGIS (ESRI), and Google Maps are also featured. The core advantage of WASP, meanwhile, is its integration of software applications that are already used in various sections along the entire value chain. Having a common, neutral platform will make the many existing solutions in the heterogeneous timber sector available to a wide range of potential users. Finally, the unprecedented option of associating with one common supplier will enable smaller companies to use software solutions that are usually very expensive. WASP-Logistik GmbH is to be hosted at the ESA Business Incubation Centre Bavaria (Berchtesgadener Land) from December 2011 to December 2013. The WASP-Logistik GmbH is an Alumni of the ESA Business Incubation Centre Bavaria 2018. The forestry and timber industry is one of the key industries. The market potential of timber resources increases due to its quality being a renewable and sustainable raw material. There is a large potential for cost reduction by optimising the logistics from forest to factory (wood logistics). lnspired by the cluster initiative Forest and Wood in Bavaria, a communication platform based on cloud technology has been developed. The aim of WASP is to integrate software solutions that are already established on the market as well as the integration of newly developed logistics modules into this internet based platform. The applications used in the forest and timber industry will be interlinked across companies and continuous information flow will be secured along the logistics chain from forest to industry. WASP supports the continuous control and optimization of logistics processes. A continuous flow of information is created on the basis of a bundle of existing information. Therefore, operational processes of roundwood and wood chip transports will be improved, empty runs measurably reduced, routes optimised and costs minimised. WASP uses the existing technical possibilities to optimise logistics, as RFID, mobile data capture and cloud computing. ELDAT standard (EDI of timber data in Germany) is defined as an interface format. The WASP wood logistic platform combines a flexible pile management, an effective route optimisation including navigation and the connection to an already established freight exchange. That will make the disposition and operation of an economic timber removal easy and efficient for companies that transport timber and their clients (forest owners, forest industry and energy suppliers). 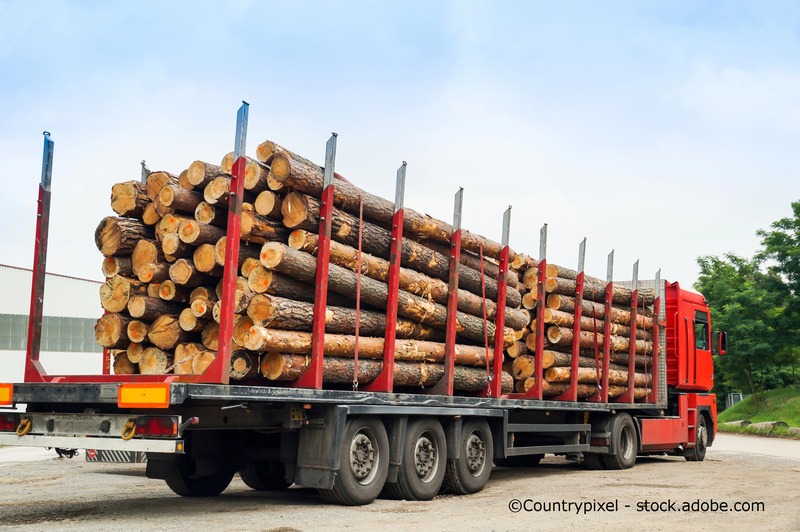 Hence, time consuming searches and missing return freight for timber transports can be reduced. Maps of state surveying offices, etc. The WASP wood logistic platform is available in various languages. Tour optimization, reduction of empty runs or the simplification of routine tasks essentially contribute to saving costs. Pilemanagement, orders, delivery, tenders, disposition, … The modular design of the programs gives each user a customized software solution for his company. lf you would like more information about WASP please get in touch with our contact person.